Long night of ideas in Luxembourg Get Involved! 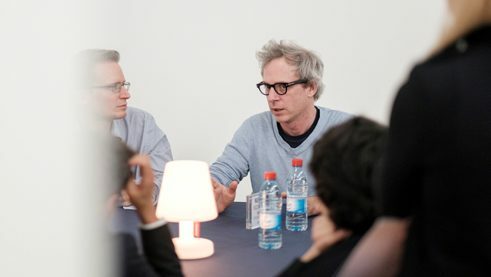 The Long Night of Ideas in Luxembourg was marked by engagement. 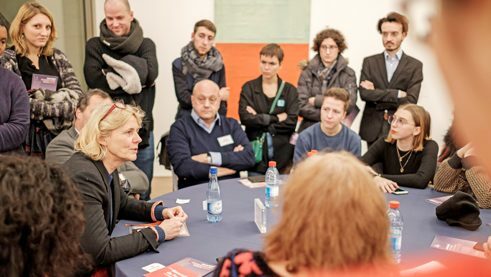 Institut Pierre Werner, Mudam, Institut français and the Goethe-Institut with support from the Franco-German Cultural Fund invited the public to 30 open discussion panels. The third edition of the Long Night of Ideas was based on the motto of individual and collective engagement. What does it mean to get involved in the face of worldwide conflicts? In a time of growing populism, climate catastrophes, wars and people fleeing their homelands around the world, the Luxembourg Museum of Modern Art, or Mudam as the Luxembourgers call it, seems like calm anchor. 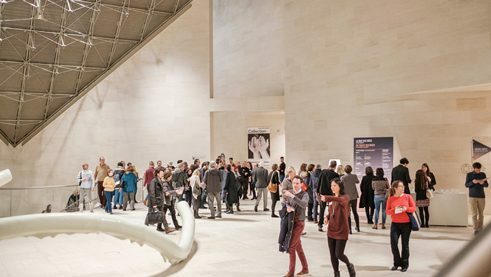 An international audience gathered in the spacious lobby in the early evening of 31 January 2019. Around 30 open discussion events from different sectors were held here. 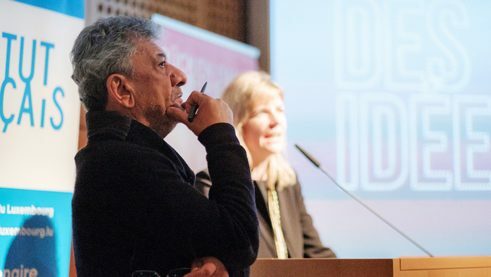 Participants in the Night of Ideas were able to contribute to about two dozen round table discussions from the fields of culture, society, politics and the environment. In addition to readings until midnight, the supporting programme offered a musical workshop that invited participants to improvise, and a “silent disco.” The evening’s speakers are well-known people from politics and civil society, such as the French war correspondent Florence Aubenas, the Iraqi-German publicist Najem Wali and Camille de Toledo, writer and founder of the curatorial platform Mittel-Europa, but also experts from the greater Luxembourg region. Some of them are involved in political associations, ecological initiatives or artist collectives. “I’m not sure if we can grasp present-day developments because we would have to be present almost everywhere and survey and understand all of the channels – an utterly inscrutable mixture of news, fake news, plots and schemes.” He went on to describe how the large numbers of media make it almost impossible to know who we are facing. Our age is characterised by dramas, whether in the Mediterranean or due to natural disasters and politically repressive systems. He had been buffeted by “a gust of this black wind” even as a child. Frightening images in the media contributed to his decision to get involved. Reporter Florence Aubenas was detained in Iraq for several months in 2005 | Photo: Mudam Luxembourg In one of the first round tables, Florence Aubenas spoke about the difficulty of differentiated reporting. As a journalist, one finds oneself on the fence, said the war correspondent and warned against unilaterally condemning the yellow vests movement in France. The people are angry for a reason. 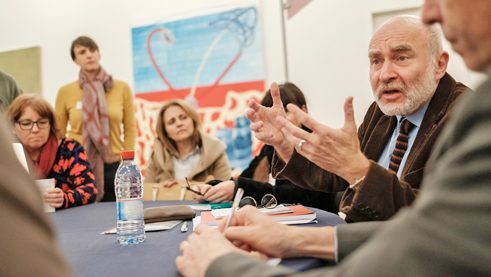 The event was organised by the Institut Pierre Werner in cooperation with the Goethe-Institut, Institut français du Luxembourg, Institut français de Saarbrücken and MUDAM. Institut Pierre Werner is the world’s only tri-national cultural institute. It was founded in 2003 by Germany, France and Luxembourg.